What exactly is Hitchhiking? It is one of the cheapest ways of traveling where a traveler tries to get a lift on a transport, by asking people (usually strangers), who are heading exactly in the same direction where the traveler’s next destination is. The widely recognized approach to do it is by standing at the edge of the road and pointing your thumb upwards. The ride is generally free; but not always as it totally depends on the rider who gave the lift. Abhi!! 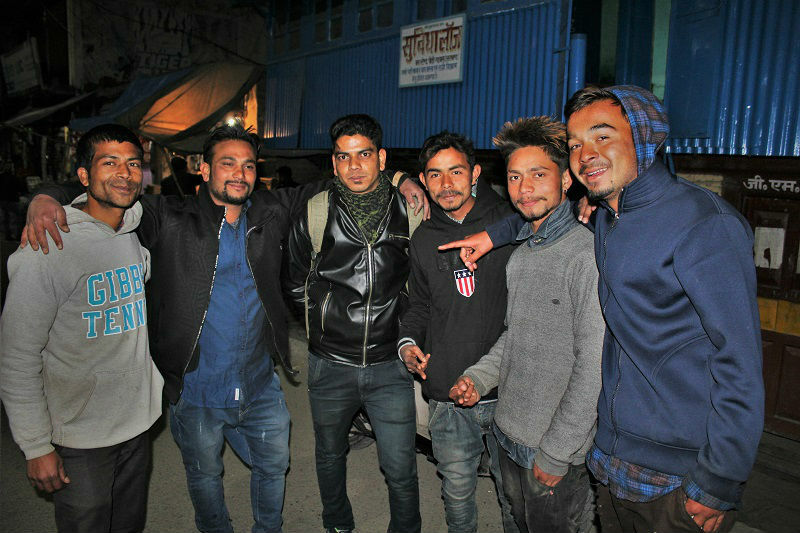 Why are you talking about Hitchhiking in this post on Pauri Uttarakhand? 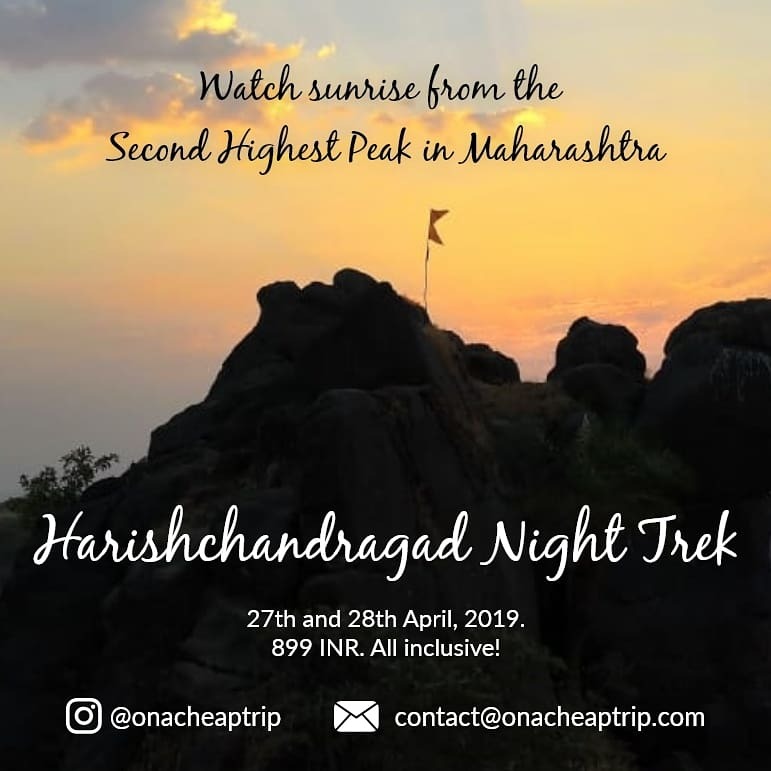 The only reason behind it is that while on my journey to explore the state of Uttarakhand, I wouldn’t have been to this hidden gem if I hadn’t hitchhiked. 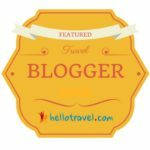 While surfing the internet for the places to visit in Uttarakhand, Pauri was almost nowhere in the searches and hence not on my itinerary as well. 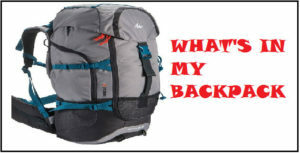 I am very much thankful for the concept of Hitchhiking that got me there. 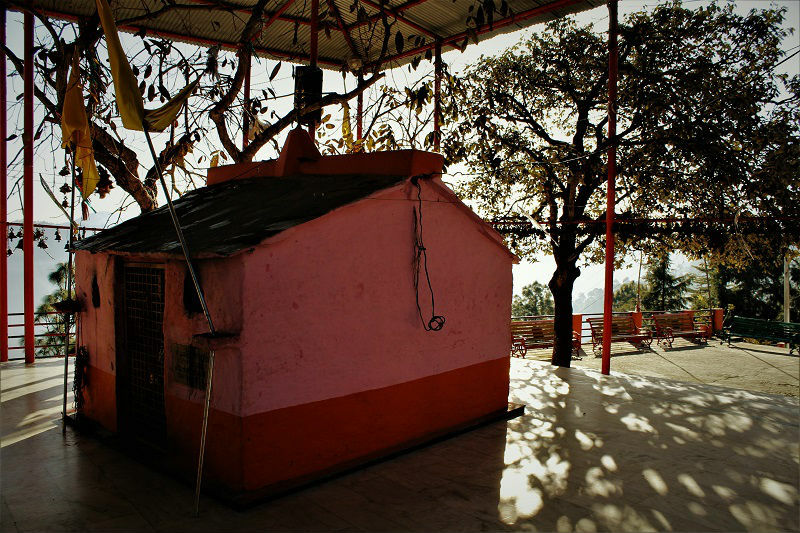 Pauri is just like a hidden treasure that beckons the travelers to explore and enjoy its immense beauty. 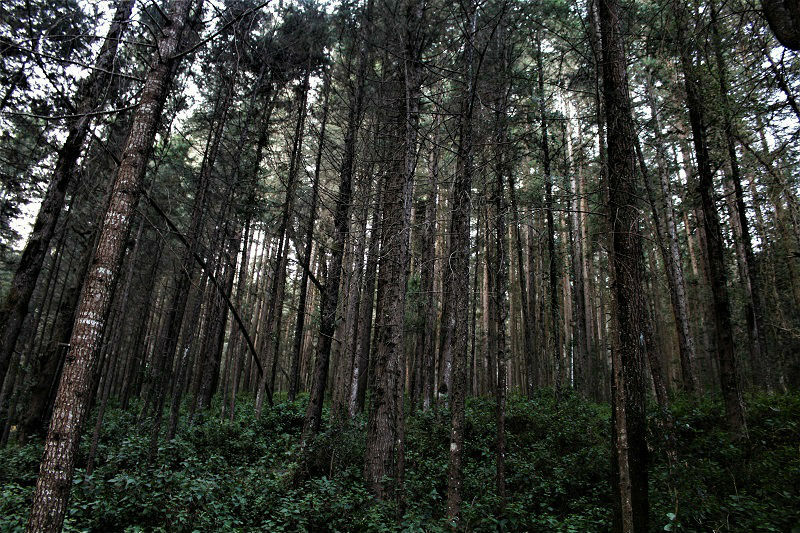 The town is honored with some tremendous forest cover and rich culture and custom. I was very much surprised to see the lack of tourism in the town in spite of it being so beautiful. The cheapest and convenient way to reach Pauri is via railways. The nearest railway stations to Pauri are Kotdwara (106 kms), Rishikesh (116kms), and Haridwar (136 kms). Haridwar, Rishikesh, and Kotdwara are well connected to major Indian cities via railways. From all these cities regular buses and shared taxis ply for Pauri and would take around 3-4 hours to reach Pauri. Charges for the same are in the range of 100 INR to 150 INR. For train bookings visit IRCTC. If you do not get a direct bus/taxi to Pauri from Haridwar or Rishikesh, take a transport to Srinagar from where Pauri is about 43 kms. Regular buses/taxis ply from Srinagar to Pauri and takes around 1.5 hours to cover the distance. The town isn’t much enormous and the majority of the spots of interest can be covered strolling. Additionally the serenity noticeable all around while having a relaxed walk would definitely make you fall in love with this place. 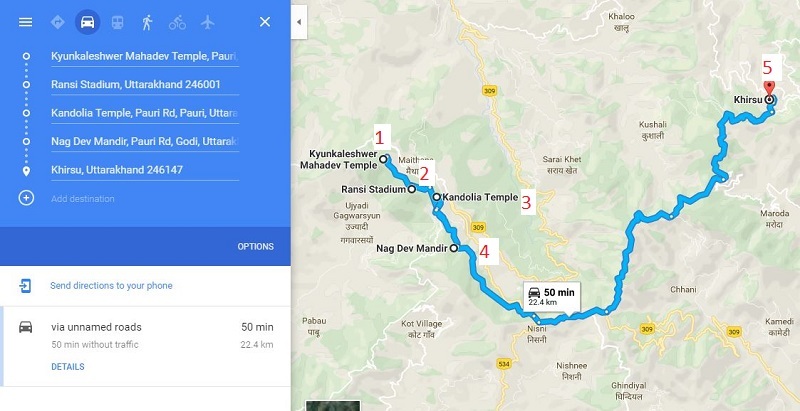 This is how I covered the must-see places in Pauri starting from Kandoliya Temple and ending at Nag Dev Mandir. After exploring the sacred town Devprayag, Khirsu was next on my list. When I enquired from the locals about the accessibility of transport to Khirsu, I was informed that there is no direct transport to Khirsu. They advised taking a transport/shared taxi till Pauri from where one can get another shared taxi for Khirsu. Reaching Pauri was in itself a big challenge as there is almost no public transport available after 4 PM which goes directly to Pauri. 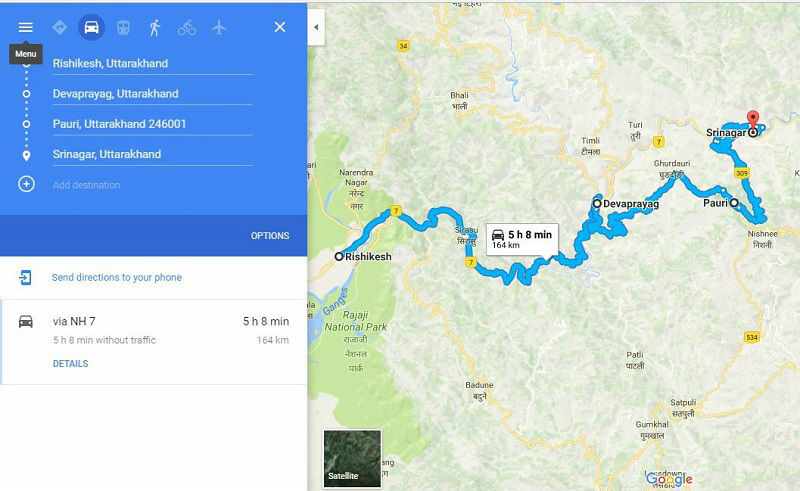 One can take a bus/shared taxi till Srinagar and from there another bus/shared taxi to reach Pauri, but remember this route is almost double in distance. In order to save time, I decided to stand at the edge of the road which is directly connected to Pauri and ask for a lift (Hitchhiking). After almost waiting for half an hour, I finally got a lift from a local resident of Pauri. Amid the journey, he enlightened me about his town, the excellence that lies in it and showed me the beautiful view of the Himalayan range. He told me that before going to Khirsu, I should at least spend some time at Pauri as there are numerous places for a traveler’s delight. 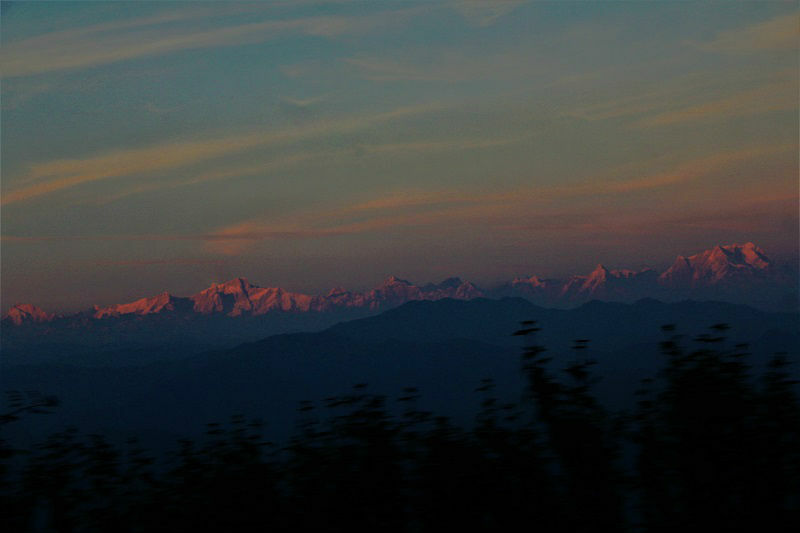 The way he described his town eventually constrained me to stay for at least a day in Pauri and explore its surrounding. And I must admit that he was absolutely right about the beauty of Pauri. The town is simply majestic!!! 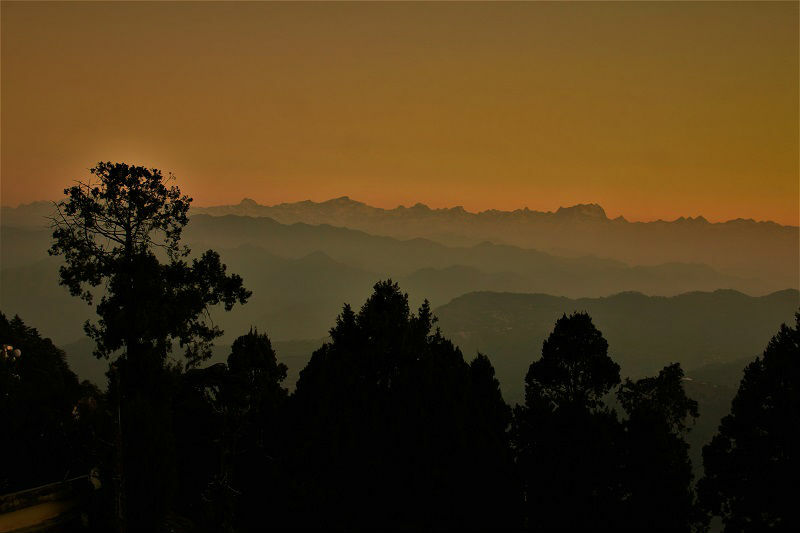 Pauri is a standout amongst the most tranquil town I ever had visited, additionally to the breathtaking view it provides of snow-covered Himalayan Peaks like Nandadevi, Swargarohini, Haathi parvat, Sumeru, Kedarnath, Neelkanth and many more. Located around 2 kms from the main town, Kandoliya Temple is dedicated to Kandoliya Devta (Lord Shiva). The temple is surrounded by pine trees and one can enjoy the mesmerizing view of the Himalayan peaks from the temple premises. I would request you to spend some peaceful time over here. 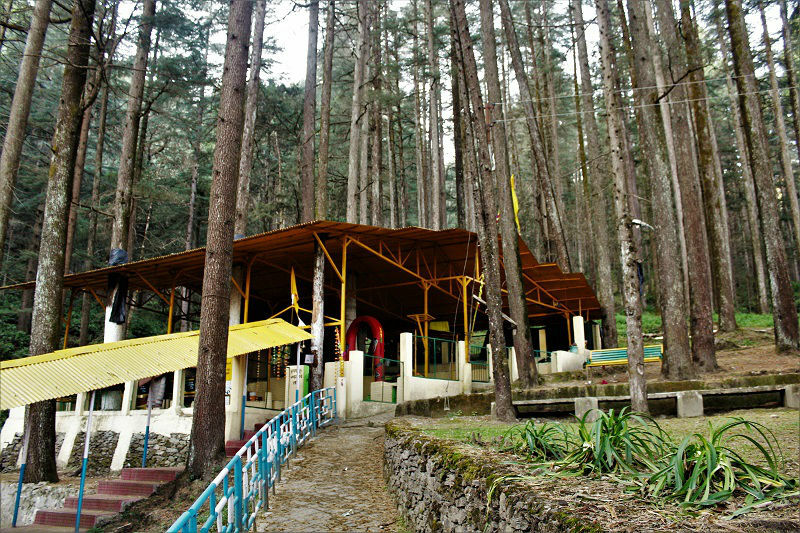 Located around 4 kms from the main town, Nag Dev temple is surrounded dense pine and Rhododendron trees. The walk from the main gate to the temple is simply amazing. Situated 2 kms from the bus stand, Kyunkaleshwar temple is dedicated to Lord Shiva. The architecture of the temple resembles the Kedarnath temple. One has to cross thick woodlands and stairway to reach the temple. Located at a distance of 2.5 km from the main town, Ransi stadium is the second highest stadium in Asia. 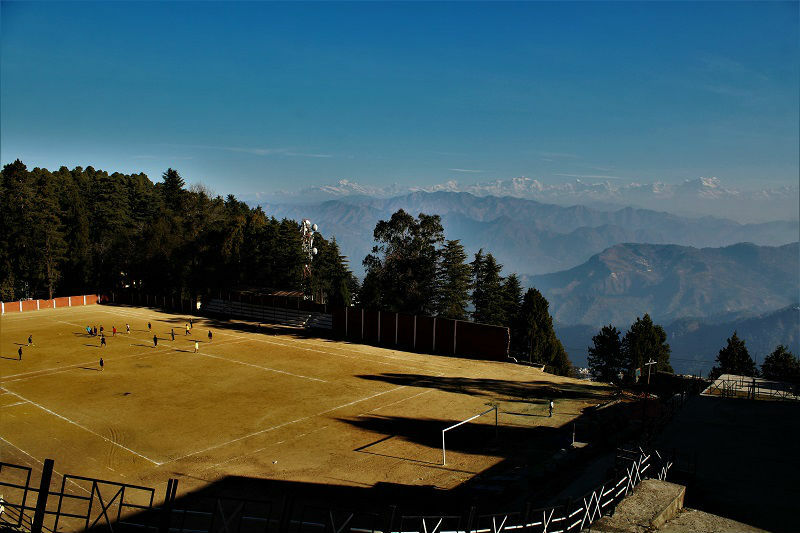 With Snow clad Himalayas in the background and surrounded by dense oak, pine, and deodar trees, it is definitely one of the most picturesque stadiums in the world. Located about 20 kms from Pauri, it is one of the most peaceful and beautiful towns in the entire Pauri Garhwal district. 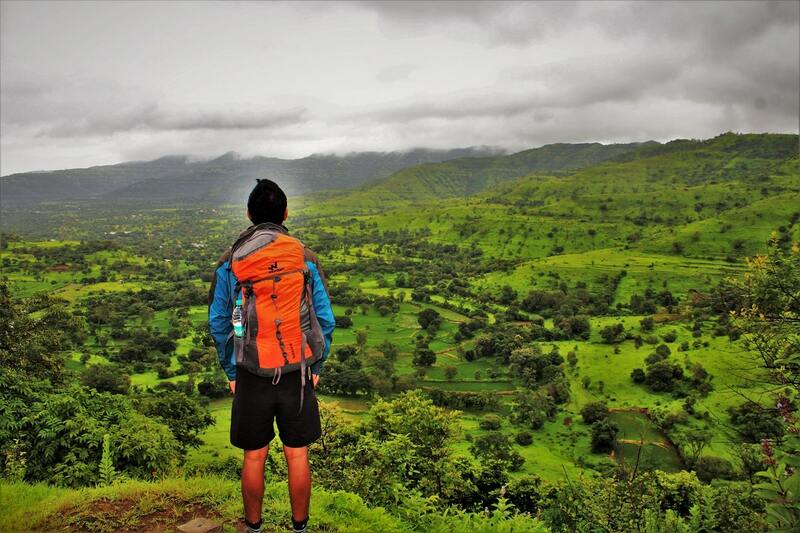 View of the gigantic Himalayas from this town is simply breathtaking. I will be soon writing a post on Khirsu. 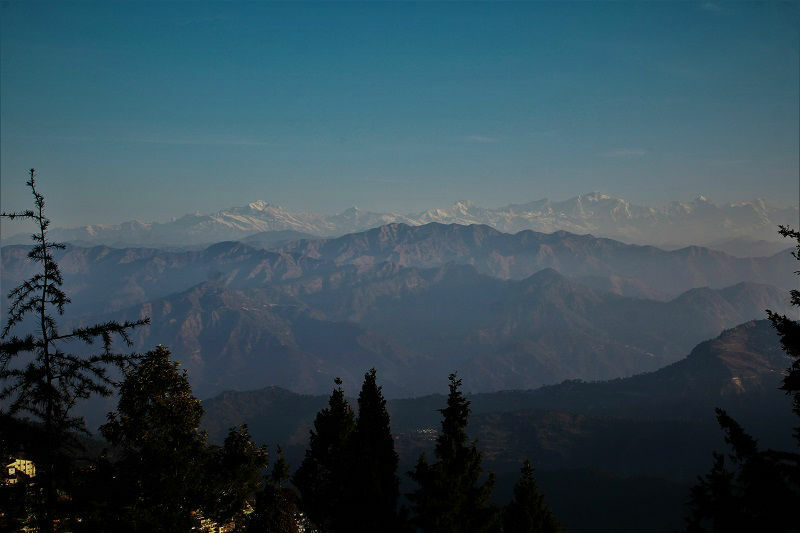 Apart from this, one can opt for various treks from Pauri. 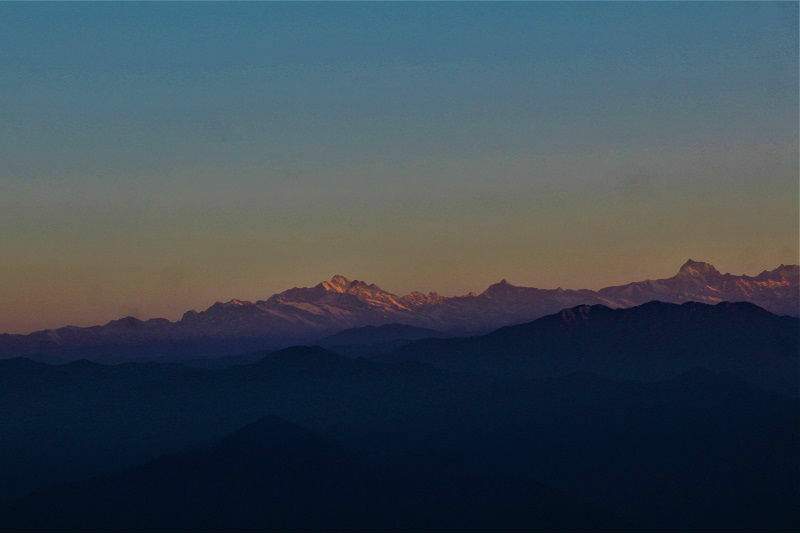 The most common ones are Pauri Binsar Trek, Doodhhatoli Trek, Tara Kund Trek, Gairsain Trek and Gujrugarhi Trek. 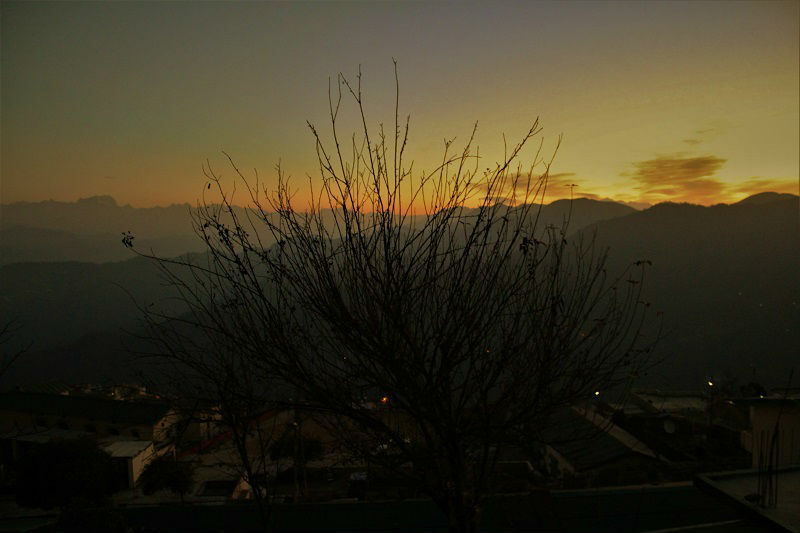 Finding an accommodation in Pauri is not difficult at all. There are various guesthouses and budget hotels that have opened off late. I stayed in Hotel Frontier and would highly recommend it. 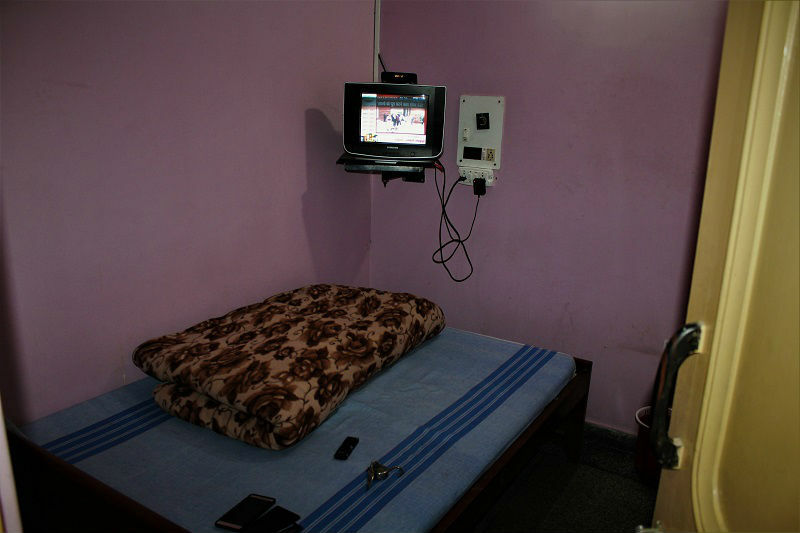 It is just next to the main bus stop and charges for a room are INR 300/night. 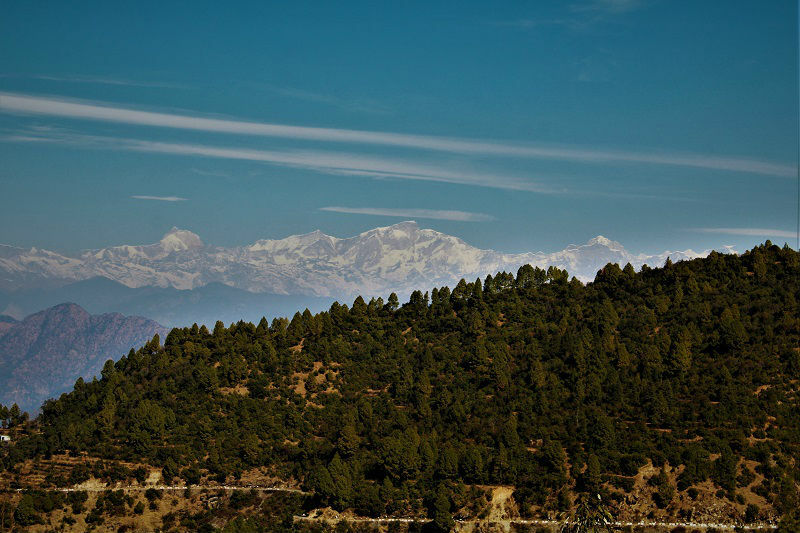 Pauri has a sub-temperate to the temperate climate, which remains pleasant throughout the year. 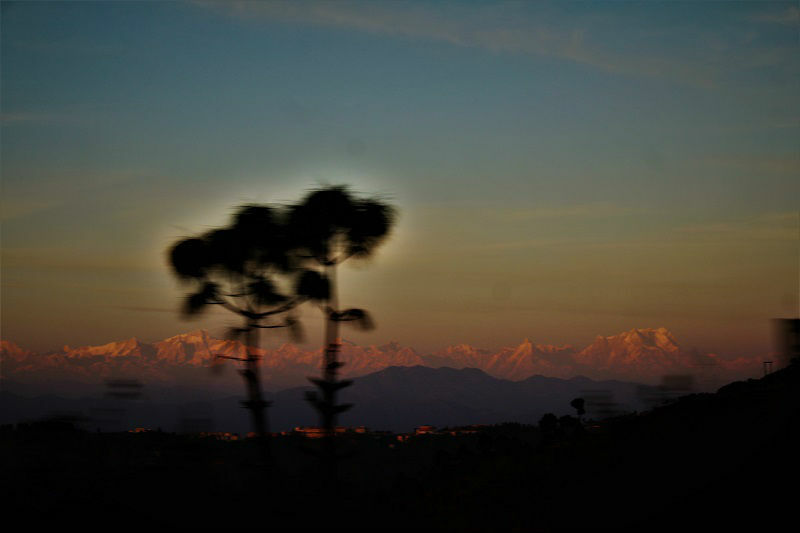 Winters are quite freezing in Pauri and it may snow sometimes but chances are rare. Monsoon should be avoided as chances of landslides are very high. 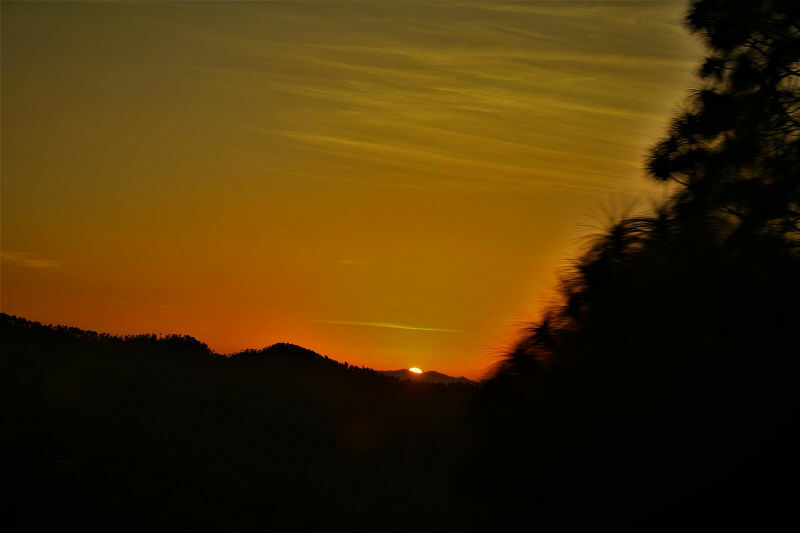 So I would say the best time to visit Pauri is from October – March. 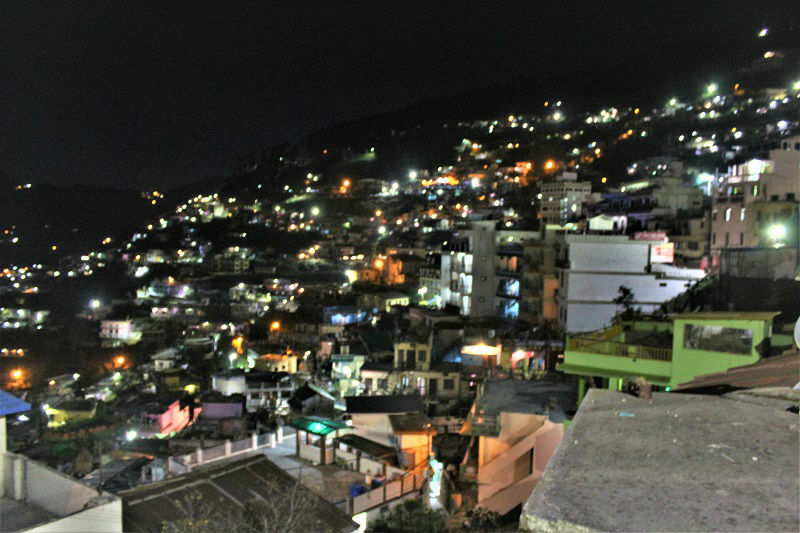 Regardless of whether you stay only for a day in Pauri, I am certain you would never want to leave the town. 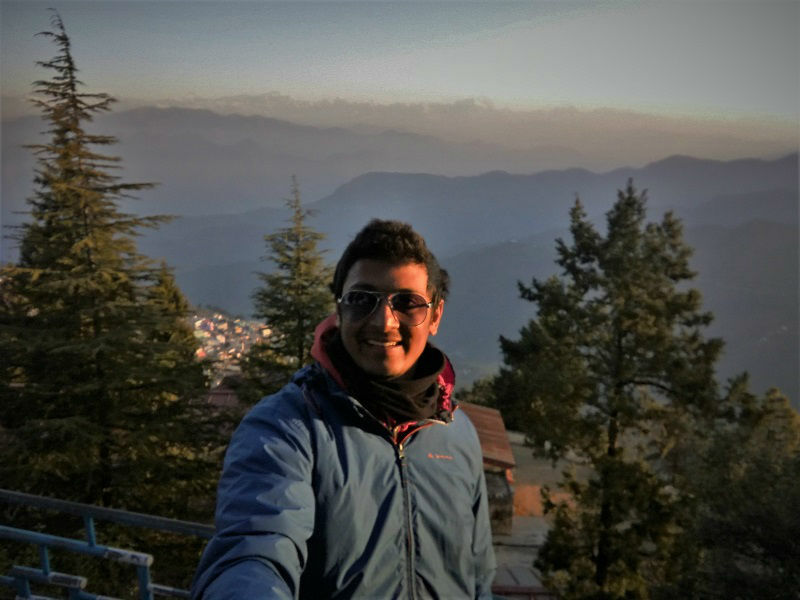 Sipping tea in the chilly conditions with the snow-covered Himalayas in the backdrop, watching the sun setting over the horizon, walking around the forest covered with Pine trees, and eating scrumptious Pahari food would be moments you would cherish for whole life. That’s my native place.You seemed to cover almost all the spots.Also there is kyunkaleshwar temple as the most ancient shrine in the town. Hope you had a great stay amongst the simplicity and nature’s best offerings. Yeah, I heard of that temple but couldn’t go as I was little short of time. I loved your hometown, it was so beautiful and peaceful. Just loved every bit of stay there. Awesome man! This is a very different blog you wrote. I see a great story-telling and awesome description of the places. Till date I didn’t know about another Sringar in India. Nice finding, Keep it up and thanks for unraveling the mystery places in India. Superb man.. Beautifully covered. Kuddos! !